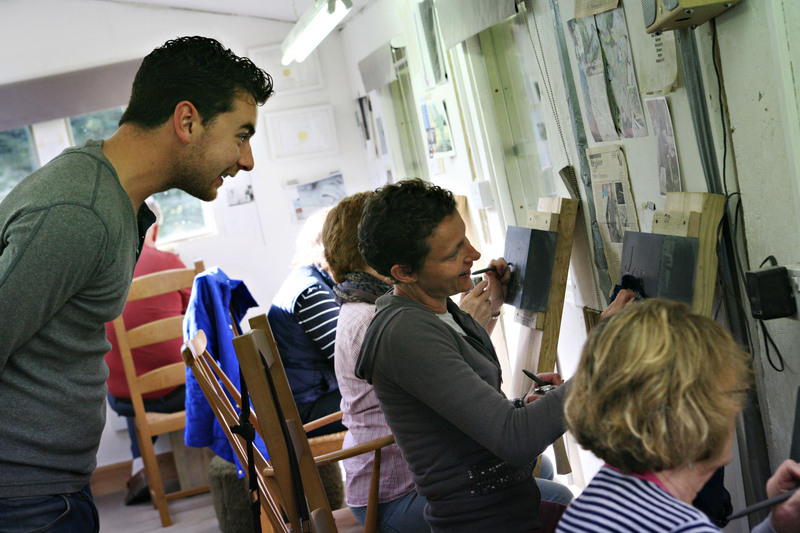 Learn to carve lettering with Martin Cook at this studio in Buckinghamshire. Martin will be running a two day workshop from his Buckinghamshire studio on 1st & 2nd October 2016. This will be a great course for beginners and the more experienced. The day will start with a welcome chat and coffee. Martin will be showing you examples of his work and telling the story of his career. Teaching will start at approximately 10.00. All refreshments will be provided including a home cooked lunch. Teaching will finish at 4pm each day when we can share a beer and discuss the day. This course is a great opportunity to mix with like minded people, socialise and learn from others experience. Martin’s workshop is set in the beautiful Chiltern countryside. Martin and his wife, Debbie, also run a boutique B&B from their farmhouse. If you would like accommodation please let us know and we can offer rooms at a special course rate. For more information on courses and accommodation please call 01494 880853.